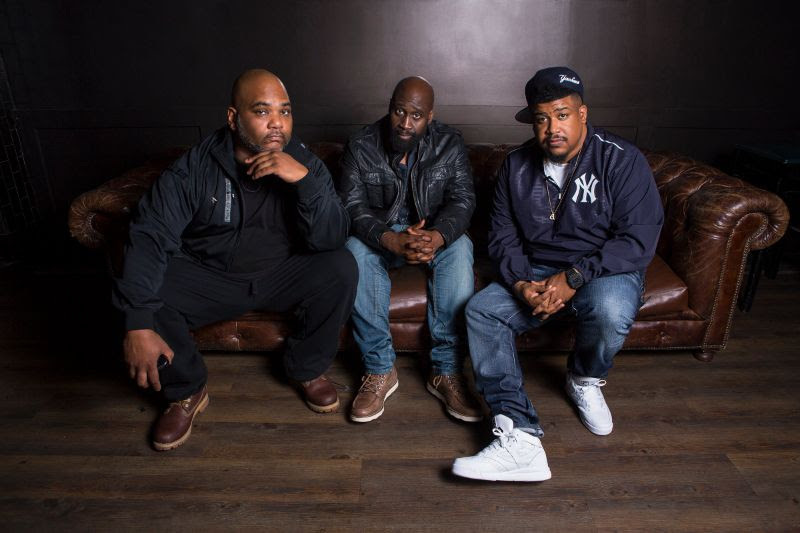 Liverpool International Music Festival has announced its lineup for the 2019 edition, with hip hop legends De La Soul set to play Sefton Park, Getintothis’ Lewis RIdley reports. Hip-hop pioneers and living legends, De La Soul will take to the Sefton Park stage as the standout act for LIMF this year. The trio, whose debut album, 3 Feet High and Rising, turns 30 this month, will bring their mix of irreverent lyrics, social commentary and jazz-funk sampling. Chart-topper Ella Eyre will also join the lineup alongside NAO, breakthrough rapper Yxng Bane, and DJ and producer SG Lewis. The incredible Maverick Sabre also joins the festival alongside Liverpool R&B collective MiC LOWRY, four-time Grammy-nominated DJ and producer, Kenny Dope and electrifying sets from De La Soul‘s Maseo, Norman Jay and BBC Radio 1Xtra’s Jamz Supernova. 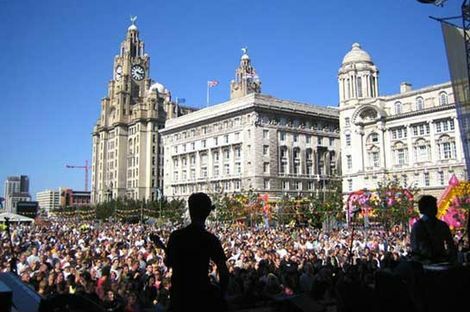 Celebrating Liverpool’s rich musical history with a headline showcase on Saturday, July 20 is 3Beat @ 30. 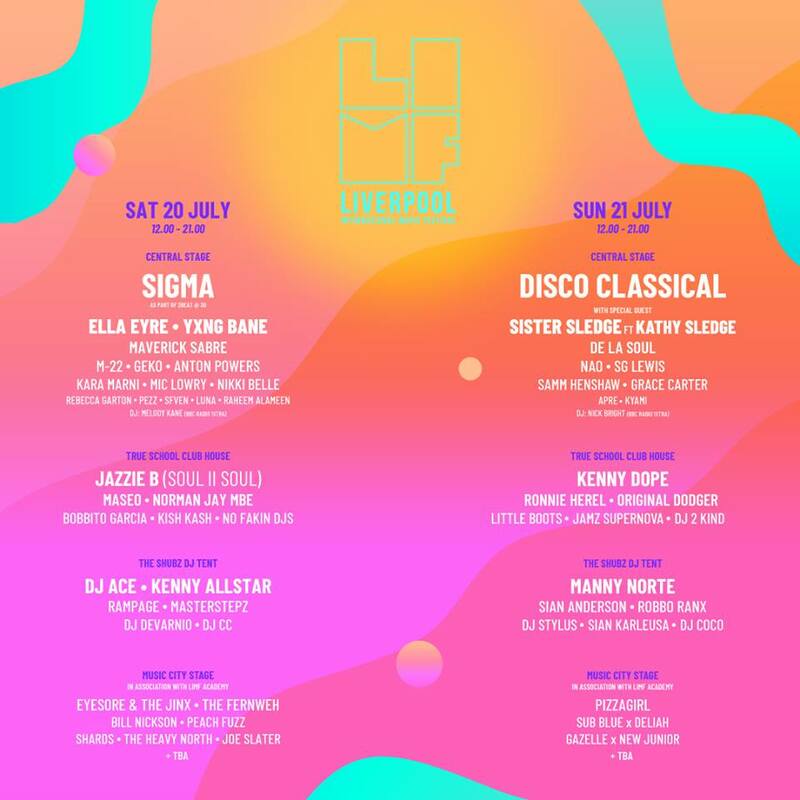 The much loved, legendary Liverpool label will celebrate its 30th birthday at LIMF with a brand new and exclusive live showcase of their biggest hits with over 30 live musicians and special guests, including two-time Brit nominees and platinum-selling SIGMA, British-German DJ duo M-22 playing their club hits and Liverpool-born house producer Anton Powers. Other acts include Luna, Raheem Alameen and Kayami of the 2018-19 LIMF Academy which has produced the likes of XamVolo previously. They join the already announced Disco Classical with special guest Sister Sledge featuring Kathy Sledge as well as acclaimed Liverpool bands and artists Eyesore & The Jinx, Bill Nickson, Yammerer and Pizzagirl. The full list of additions is: 3Beat @ 30 featuring Sigma, M-22, Anton Powers, Geko, Nikki Belle and Rebecca Garton, Ella Eyre,Yxng Bane, MiC LOWRY, Sfven, Luna Raheem Alameen, DJ Melody Kane (BBC Radio 1Xtra), Jazzie B (Soul II Soul), DJ Maseo (De La Soul),Norman Jay MBE, Bobbito Garcia, Kish Kash, No Fakin, Ace (BBC Radio 1Xtra), Kenny All-Star (BBC Radio 1Xtra), Rampage, Masterstepz, DJ Devarnio, DJ CC, De La Soul, NAO, SG Lewis, Grace Carter, Samm Henshaw, Apre, Kyami, DJ Nick Bright (BBC Radio 1Xtra), Kenny Dope, Original Dodger (this is Artful Dodger), Little Boots, Jamz Supernova (BBC Radio 1Xtra), Ronnie Herel (Mi-Soul Radio), DJ 2Kind, Manny Norte (Capital Xtra), Sian Anderson (BBC Radio 1Xtra), Robbo Ranx, DJ Stylus,Sian Karleusa, DJ Coco. Curator Yaw Owusu said: “Amidst a stellar set of music events in Liverpool this year, I’m glad that again LIMF is able to do what it does best as it presents an accessible, inclusive and musically diverse line up that continues to be a platform for great performers and performances and truly reflects what’s happening here in Liverpool. LIMF will take place on Saturday, July 20 and Sunday July 21.